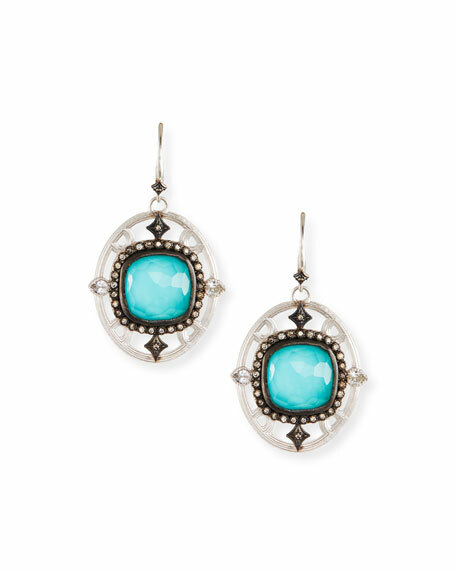 Armenta drop earrings from the New World Collection. Polished and blackened sterling silver hardware. Turquoise and white quartz doublet cushions. Champagne diamonds and white sapphires. For in-store inquiries, use sku #2606536.